The families of Central Illinois have been deeply affected by the national health crisis that has gripped the entire U.S. Fifty-eight people died of a drug overdose in 2017 in the immediate seven-county region of Champaign, Ford, Vermillion, Edgar, Douglas, Piatt, and DeWitt counties. Central Illinois is fortunate to have a high quality resource to respond. Rosecrance is dedicated to recovery in Central Illinois by providing evidence-based treatment for mental health and substance use disorders. We help children, adults and families through a variety of behavioral health programs and services. Addressing an individual’s struggle with substance abuse means understanding all the factors involved and developing a comprehensive treatment plan. Rosecrance Central Illinois offers substance abuse treatment for adults and families in a friendly environment. Our board certified psychiatrists, counselors, and social workers provide the highest quality of care and tools to help you live life well in recovery. Rosecrance also provides a variety of community-based mental health services for children, adolescents and adults in central Illinois. Our crisis team is available 24/7/365 to provide a crisis assessment and linkage to the most appropriate level of care. This service is available to anyone in Champaign County who is experiencing an acute psychiatric crisis. The Rosecrance Central Illinois Crisis Team can be reached any time by contacting the Crisis Line at 217.359.4141. For those in need of a crisis assessment for anyone under 21 with Medicaid, please call the CARES Line at 800.345.9049. Screening, Assessment, and Support Services, also known as SASS, is a program for youth experiencing a psychiatric crisis. Services include crisis stabilization, support, and counseling. 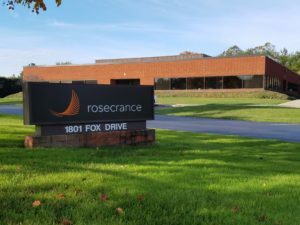 Rosecrance is now the provider in the Central Illinois region, providing services for youth throughout Champaign, Ford, Iroquois, and Vermilion counties. Services may also be provided at school, at home or in the community.